Ever read a story that featured a lavish home and wished you lived in it? Be it an extravagant castle brimming with priceless antiques or a cosy cottage nestled at the edge of a lush forest, we have all sighed dreamily as we fantasised about living in our favourite fairy tale house. However, as we grew up, we were made to realise how difficult it was to obtain our own home, much less something matching those of our childhood daydreams, and were forced to leave them behind. 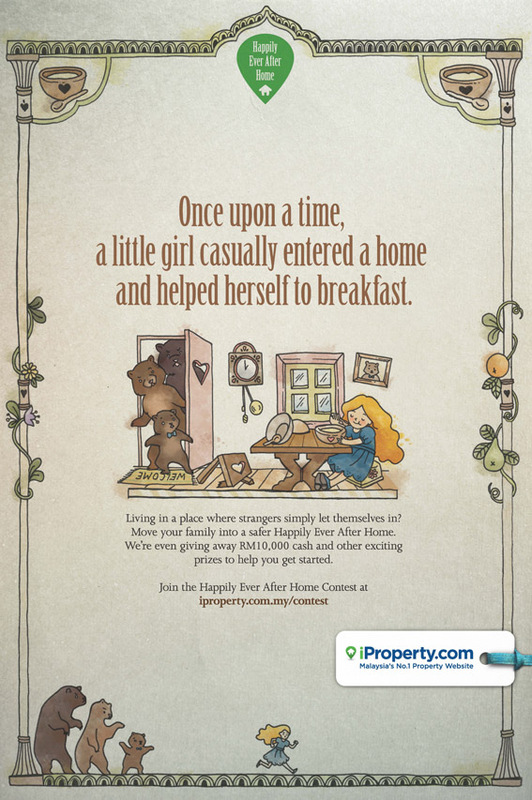 In recognition of all those long-forgotten desires, iProperty.com Malaysia has launched the Happily Ever After Home campaign, where interested individuals are invited to submit their details via Facebook and answer a simple question. To increase their chances of winning, participants can spin their own versions of four selected fairy tales that entertained them as children. These fairy tales, which iProperty.com Malaysia has added a modern twist to, are Hensem & Gatal, Rafunzel, Red Riding in da Hood and Jack & the Kacang Panjang. The one to emerge triumphant in the end will ride off into the sunset with RM10,000 to fund their own happily ever after home. A total of 10 Apple TVs are also available as prizes; after all, nothing says ‘luxury’ quite like a nifty gadget that allows you to easily get your favourite shows and movies from the Internet. The Happily Ever After Home campaign is open to all Malaysians above the age of 18. Entries must be submitted no later than 12am on 21st June 2013 and winners will be shortlisted based on the number of likes. A total of 20 contestants with the most likes will then be selected before the winning entries are chosen, which will be based on the creativity of the story they create. Concern Fresh Wind offers a invest money in building for different tariff plans. Today , survivors overcame the recent financial crisis, more began to wonder in which businesses invest money . According to conclusions of many of the leading the best analysts, one of the most investing money in building. It is no secret Everyone knows that the construction of less exposed to the risk of falling prices, in addition , construction has always been important and in demand, and will be in demand. Even the economic crisis did not recaptured removed the desire for people to buy their own property. Therefore, investment in construction will always remain relevant and profitable.